There is nothing I look forward to more each day than sitting down with my cup of hot coffee and enjoying every sip. It is the most relaxing and calming part of my day! 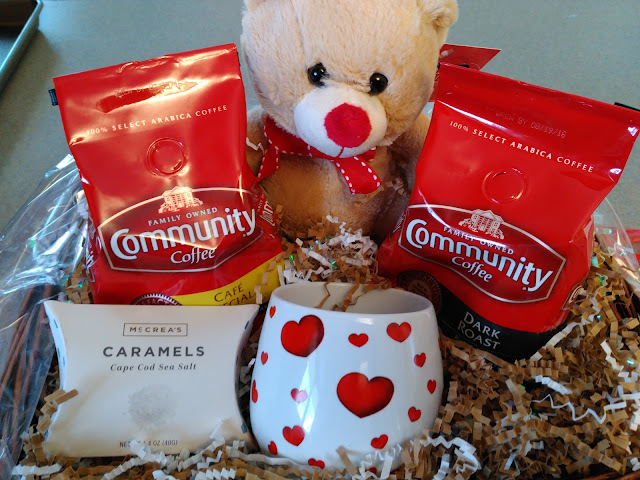 Which is why when I received the Valentine’s Day Gift Set – featuring only 100% Arabica coffee from Community Coffee, I was thrilled! Not only did I get some fresh coffee for future brewing, but I got a new mug and caramels! They definitely know how to speak my language! If you have a coffee and caramel lover in your life, this Large Valentine Set is the perfect gift! This is a great gift to show how much you care. It includes 12-ounce Premium Dark Roast coffee, 12-ounce Premium Café Special® coffee, plush bear, 14-ounce hearts mug and a package of McCrea’s Cape Cod Sea Salt caramels, all packed in a gift basket. The special coffee lover in your life will love it! Shower your valentine with love and coffee this Valentine's Day with this great Valentine Set from Community Coffee! 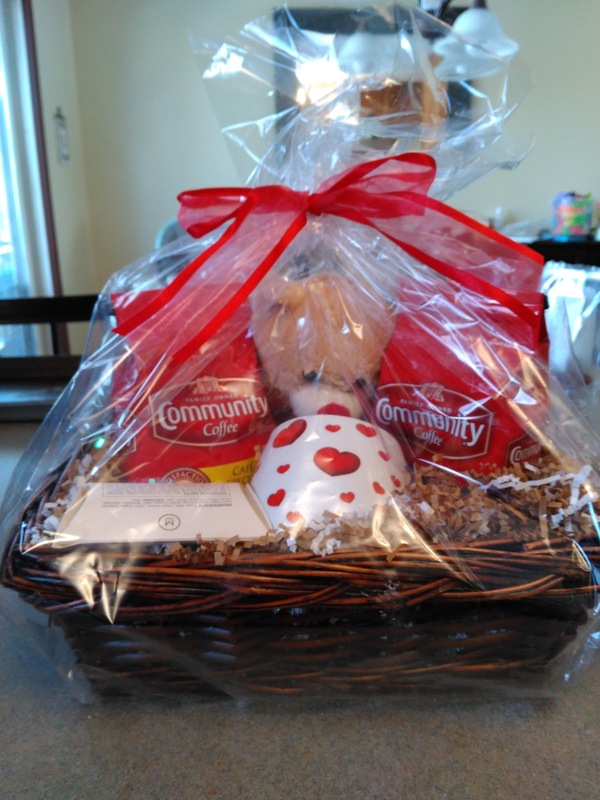 You can purchase the Large Valentine Set for $27.99 from the Community Coffee website.